There is a lot of debate over the Qualcomm vs Intel modem versions of the iPhone X (and iPhone 8 AFAIK). The A1865 contains a Qualcomm CDMA compatible modem, and is typically sold in the USA for Sprint and Verizon customers. You can purchase an unlocked A1865 for Verizon at the Apple store for full price. The A1901/A1902 contains an Intel modem and supports all networks, sans CDMA providers. Both the A1865 and A1901/A1902 support all global GSM standards. So why get the A1865 if you don't need CDMA? Well from my speed tests the Qualcomm performed significantly faster in almost all conditions than the Intel modem. My methods of testing were not super scientific. I purchased both phones, plugged in the same T-Mobile SIM card and tested them each one after the other in locations I commonly sit with no WiFi coverage. All tests were inside of buildings around the Bay Area. 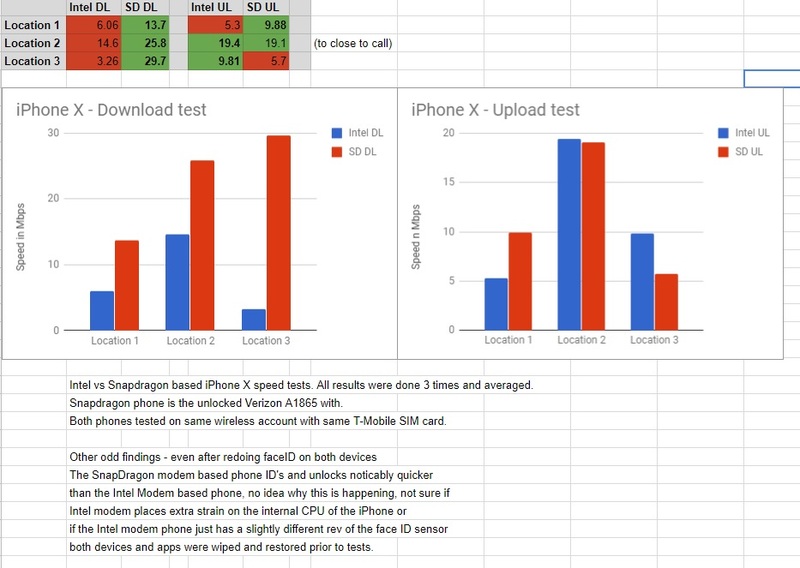 So there you have it, an in the field comparison of the iPhone X Qualcomm modem vs. the iPhone X Intel modem. - The iPhone X with Qualcomm seemed to perform drastically better in areas with low reception (1 bar). 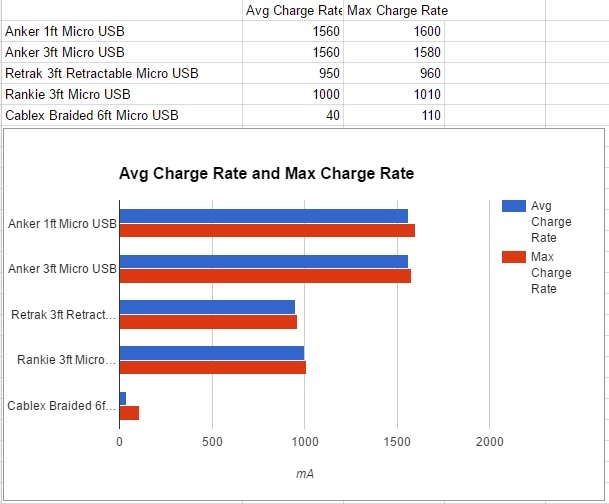 - The iPhone X with Intel seems to have a slight advantage on battery. When carrying both of them for a few weeks I found the Qualcomm always ended up slightly lower on battery. Many other reviews online claim the Qualcomm is more energy efficient, esp in bad reception. This does not seem to be the case. - The iPhone X with Qualcomm modem has a much more stable bluetooth connection. The Intel modem version (like my prior iPhone with Intel modem) has issues with BT audio crackling with my Apple Airpods when in a call (happens randomly for a few seconds per call and then clears up).